The European Union’s top court has ruled Britain can change its mind over Brexit, boosting the hopes of people who want to stay in the EU that the process can be reversed. In an emergency judgement delivered just a day before British Parliament is due to vote on the Brexit deal agreed with the EU, the European Court of Justice (ECJ) ruled that when an EU member country has notified its intent to leave, “That member state is free to revoke unilaterally that notification” without consulting other member states. Britain voted in 2016 to leave the 28-nation bloc, and invoked Article 50 of the EU’s Lisbon Treaty in March 2017, triggering a two-year exit process. As Article 50 contains few details — in part because the idea of any country leaving was considered unlikely — a group of Scottish legislators had asked the ECJ to rule on whether the UK can pull out of the withdrawal procedure on its own. 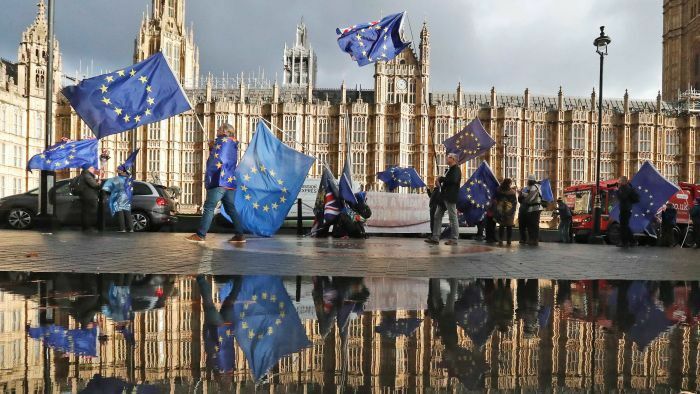 Alyn Smith, a Scottish nationalist member of the European Parliament, and one of those who raised the case, said the ruling “sends a clear message to UK MPs ahead of tomorrow’s vote that there is a way out of this mess”. “If the UK chooses to change their minds on Brexit, then revoking Article 50 is an option and the European side should make every effort to welcome the UK back with open arms,” Mr Smith said. The ECJ said in its statement that Britain should suffer no penalties if it halted the Article 50 process. The ruling is in line with an opinion delivered last week by a Court legal adviser, which boosted the hopes of British Brexit opponents of the possibility the scheduled March 29 departure from the EU could be avoided. EU leaders have long insisted they would welcome Britain changing its mind, but many EU officials and legal experts had believed the approval of either all or most of the other 27 members states would be needed to halt Brexit altogether. Some senior EU officials have said Britain should be allowed to remain but could be asked to give up some of the special terms it had acquired over the past four decades, notably a hefty rebate on its payments to the bloc’s budget. British Prime Minister Theresa May faces heavy opposition in Parliament to her Brexit deal and many expect her quest for approval to be defeated, setting up further tense talks with the EU when she goes to Brussels on Thursday for a summit of national leaders. Mrs May’s Environment Minister, Michael Gove, who campaigned for Brexit, dismissed the ruling by repeating the Government’s insistence it would not reverse its decision to leave. “We don’t want to stay in the EU,” Mr Gove told BBC radio. “17.4 million people sent a clear message that we wanted to leave the European Union and that also means leaving the jurisdiction of the European Court of Justice. Three of the four living former British prime ministers, John Major, Tony Blair and Gordon Brown, said a second referendum was the way to resolve the crisis. If Mrs May wins her crucial vote on Tuesday, which is unlikely according to expert predictions, the withdrawal seems likely to proceed as agreed with Brussels last month. If she loses, her own position could be in jeopardy, there could be a move for a new election, or possibly to hold a new referendum. But it is far from clear whether or how Britain could organise a new referendum, given the short time left until Brexit. Many warn, however, that it could stir unrest. Opinion polls suggest any new majority for staying in the EU is narrow.